Business Insurance for small businesses is a key component to secure your businesses risk against potential incidents that could cause financial loss or damage. Business insurance policies you should consider include Professional Indemnity Insurance, Public Liability Insurance and Employers Liability Insurance. Please visit Qdos Contractor’s Contractor Insurance shop to find out more about the insurance products featured within this article. Prices correct at time of writing – updated 21/09/2017. 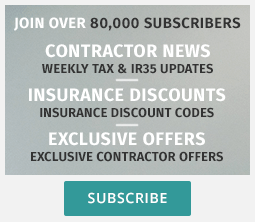 We have negotiated an exclusive 10% discount off Professional Indemnity and Public Liability Insurance policies with leading contractor insurance providers, Qdos Contractor, for Contractor Weekly readers. Fill in the form below to access your discount.